In my endless pursuit of eating healthy, low carb meals, my key focus is always the meat and the veggies. If you’re trying to cut out the processed, starchy carbs in your diet, and eat more wholesome, real foods, these meals will give you plenty of satiating fat and protein, along with loads of veggies! My only food rule when it comes to low carb eating? 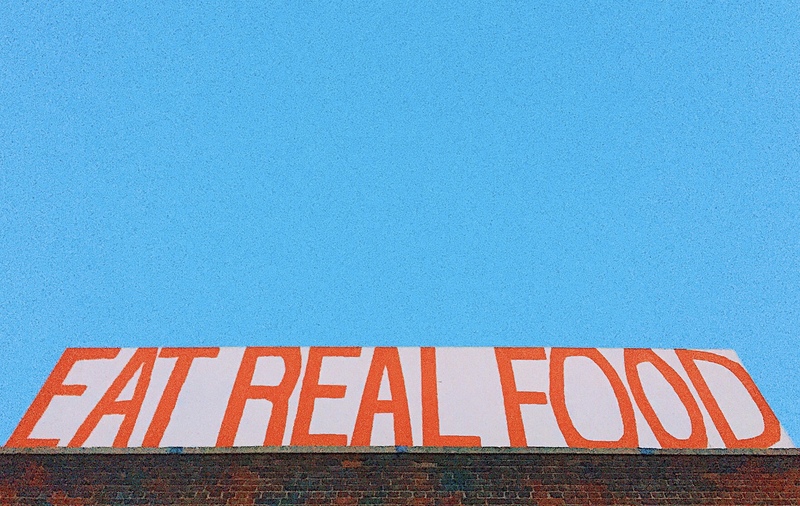 EAT 👏 REAL 👏 FOOD👏 There are so many real-food options out there! But today, we're covering three. 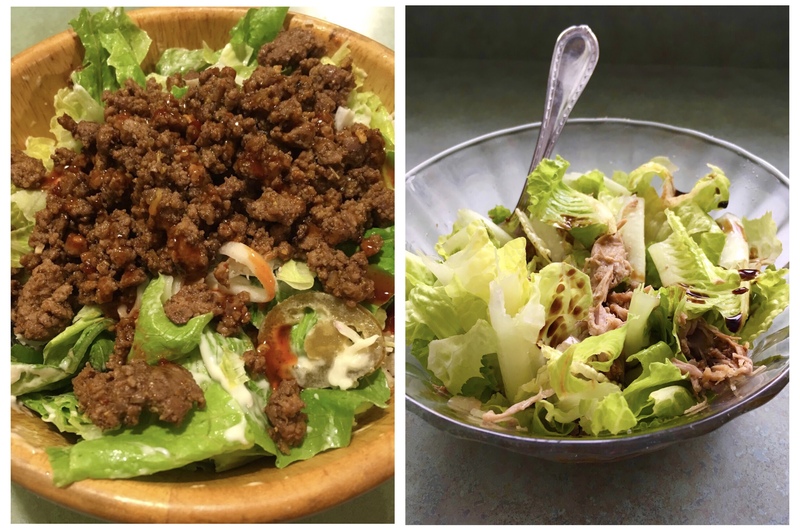 You can think of these are three great low carb dinner options, low carb lunch options, low carb anything options! But the common denominator? They all contain a hearty, healthy serving of veggies and meats. Let's dig in. The hardest part about this recipe is chopping up the vegetables. That's it, really! These Joes are loaded with veggies. And the large quantity of mushrooms makes for a light, but low carb and nutritious filler! I dose insulin based on the estimate that 2 cups of this meal adds up to about 8 grams of carbs. If you omit the tomatoes and use green peppers (instead of yellow, red, or orange) the carb count could be as low as 5 grams. But I love yellow bell peppers, and when it comes to carbs from non-starchy veggies, I eat as many as I please! They’re worth it. 😋 I bet you're thinking: how'd I get that carb count so low?! It's a Sloppy Joe! And herein lies the differentiating factor: this is a bunless Sloppy Joe. A not-your-momma's Sloppy Joe. But if you've just got to have that buttery, bread-y feel and taste, we've got you covered there, too. Just check out recipes for our super low carb bread options here! 1. Dice up 1 carton of mushrooms, 1 large yellow onion, 1 bell pepper. Pro-Tip 💡 If you hate chopping veggies, you could put them in the food processor. But you’ll risk over-chopping them if you aren’t careful. Small, bite-sized chunks will be tastiest. 2. Saute all those veggies on medium heat in a large fry pan with coconut oil (or butter, whichever you prefer). 3. Stir often! 4. In a separate fry pan, saute 1 lb. 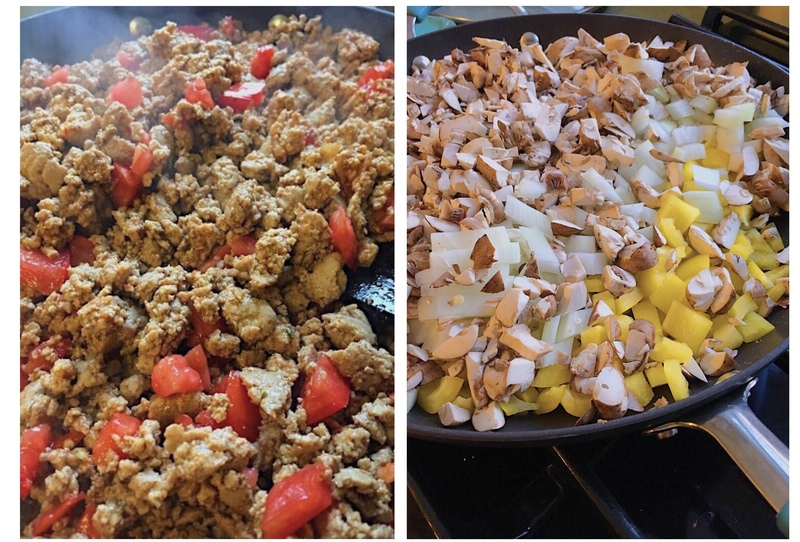 grass-fed ground beef or ground turkey on medium heat. 5. No need to add oil to the pan for this step! Just use the fat that comes from the meat. 6. Once it’s thoroughly cooked, add in a packet of dry Sloppy Joe sauce! (McCormick, or whatever your grocery store sells, works perfectly). Optional: slice up a couple of large tomatoes and add them to the beef after it’s cooked. 7. Mix the meat with the veggies in a big bowl, 8. Add 2 teaspoons of salt (if necessary!). Double this recipe to easily create enough for a week’s worth of dinner or lunch! You'll be prepped and ready with an easy to grab, delicious to eat low carb staple. Enjoy! 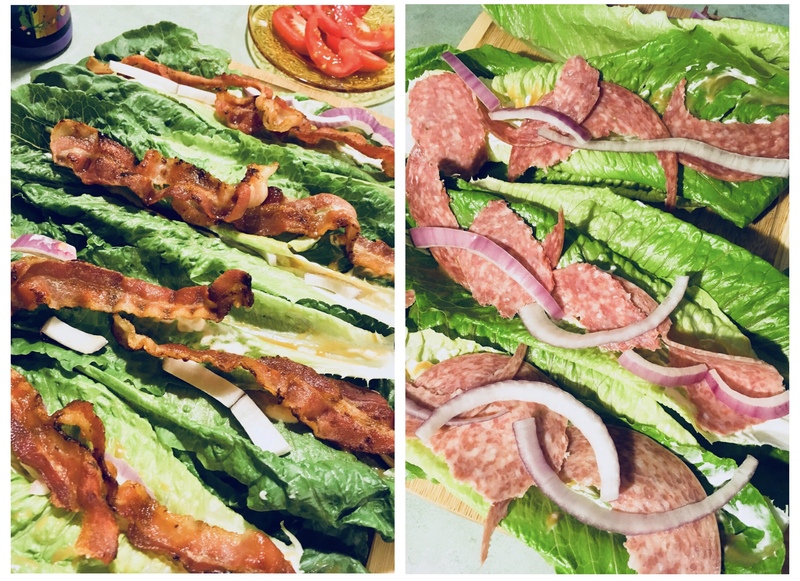 Turn any great sandwich into a low carb feast just by nixing the bread! You get to eat way more of the best ingredients. And when we're talking BLTs, one without the bread tastes so much better! Bread blunts the flavor (re: awesomeness) of the bacon, onions, salami, and mustard! If you’re making 3 to 4 of either of these “sandwiches,” and you are using both mustard and tomatoes, you may find you need insulin to cover about 8 grams of carbs. Without mustard or tomatoes, my estimate of “impact” carbs is essentially zero. But! You may find you need the tiniest smidge of insulin to cover the protein and fat. Use a bottle of Goya’s “Mojo” sauce, a sliced yellow onion, pork shoulder that fits in a slow-cooker. Cook on low for 8 hours, drain the juices, save the onions and meat, shred the meat, then stir in a drained can of shredded pineapple. It just tastes far more interesting, is surprisingly lower in carbs (despite the pineapple), and feels so much lighter in my stomach. 8 grams for a hefty serving of pulled-pork on romaine lettuce. For one hefty serving of Taco Salad, I personally dose my insulin as if this meal is 10 grams of carbs. If you’re adding lots of cheese, though, you may find you need to account for another 5 grams of carbs. 1. Mix all of the salad ingredients in a big bowl. 2. Add a bit of chipotle Ranch salad dressing. 3. Add a heaping scoop of taco meat. 4. Add the cheddar cheese on top! The best part? You can go back for more! As many times as you'd like! But you'll probably be pretty full after two helpings; this bad boy mix is so hearty and filling. ¡Buen provecho!